“They Call It Myanmar: Lifting the Curtain” (2012) is a visually stunning documentary about the world’s second most reclusive country, directed by Robert H. Lieberman, a Cornell physics professor, and written by David Kossack. The film was shot in clandestine fashion over two years. That would make for a good short. The film stresses the religious background of the people, Buddhist, and their belief in karma and reincarnation. There is a feeling that you lead the life you deserve. You share hardships. And indeed, the livings standards except for the super rich are low. The film shows villages built right on canals on the water, almost like “Lake-Town” in “The Hobbit”. It also shows shantytowns, not too far from spectacular monuments. Electricity is unpredictable. Children have to go to work to support their parents and siblings, and can be sold. The military dictatorship seems to lack a coherent ideology, and has not particularly visible leader (unlike North Korea). Young men go into the military because there are no other real opportunities, so they tend to reach positions of power with little education. The film also shows a major typhoon and its effects. 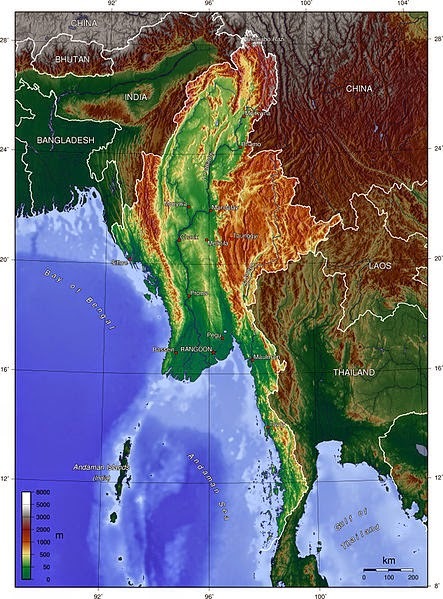 Myanmar (aka Burma) is on the Indian Ocean between Bangladesh and Thailand. The entire middle of the country is very low and near water and floods easily. Toward the end, the film covers briefly the history o Aung San Suu Kwi, about which Cohen Media had released “The Lady” (April 27. 2012). The official site is here (Docurama and New Video). It appears that the film can be watched free on YouTube. I watched it on Netflix.